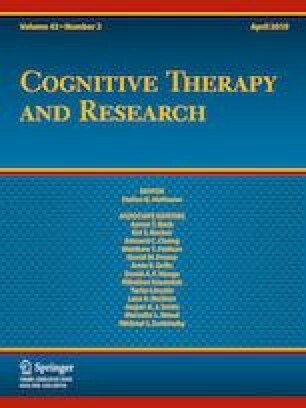 Cognitive insight represents the ability to reflect on and criticize beliefs and thoughts, and is impaired in individuals with psychosis, relative to healthy controls. The Beck Cognitive Insight Scale is the most widely used tool to assess cognitive insight. While some studies have attempted to develop diagnostic cutoffs, clinical cutoffs differentiating levels of cognitive insight have not yet been established. We identified two clinical profiles within our psychosis sample (N = 385). Profiles represented low and high cognitive insight and were based on functioning and IQ. Composite index scores at the 33rd percentile in the low cluster and the 66th percentile in the high cluster were calculated. Composite index scores of three or lower represent low cognitive insight, between four and nine is considered moderate, and ten or above represents good cognitive insight. Clinical cutoffs will better orient clinicians and will facilitate the development of targeted interventions to improve cognitive insight. The online version of this article ( https://doi.org/10.1007/s10608-018-9963-0) contains supplementary material, which is available to authorized users. The authors wish to thank research staff from the Martin Lepage Laboratory, especially Gabriella Buck, and PEPP-Montreal for assistance with recruitment and data collection. We are grateful to all who participated in this study. This work was supported by the Canadian Institutes of Health Research (Grant Nos. 68961, 106634) to M.L., and the Sackler Foundation to M.L. and A.K.M. Salary awards include: the Fonds de recherche du Québec - Santé to G.S., M.L., and R.J.; the James McGill Professorship to M.L. ; and the Canada Research Chairs Programme to A.K.M. M.L. reports having received financial assistance/compensation for research and educational events from Otsuka/Lundbeck Alliance. Danielle Penney, Geneviève Sauvé, Rhida Joober, Ashok K. Malla and Martin Lepage declare that they have no conflict of interest. Wechsler, D. (1999). Wechsler abbreviated scale of intelligence. https://doi.org/10.1037/t15170-000.